Acrylic on canvas, 60 x 96 inches 152.4 x 243.84 cm). 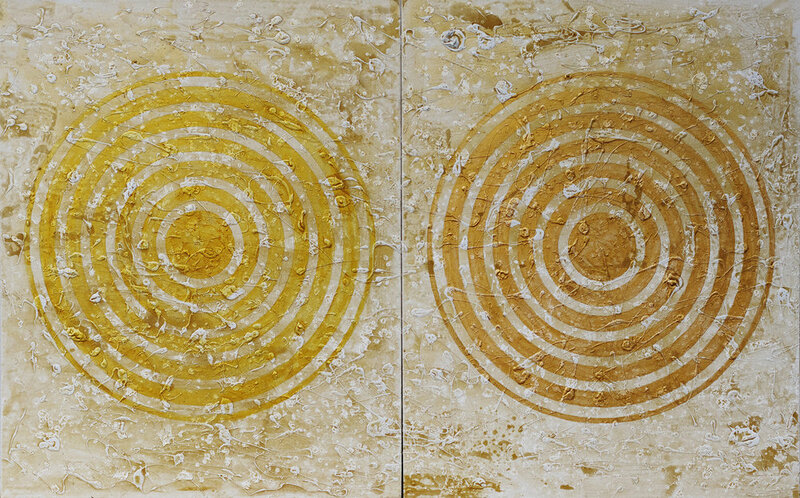 Two panels, 60 x 48 inches (152.4 x 121.92 cm) each. Acrylic on canvas, 72 x 120 inches.